Autonómia Foundation is a private foundation established in 1990. Autonomia focuses on strengthening civil society and supporting marginalised social groups, with a special emphasis on Roma integration. Autonómia’s activities include local training, project generation, community development and supporting community initiatives, integrated cross-sector professional work, identification of good practices (study visits), research projects, policy recommendations, grant making and management of grant schemes. Please click here for more information about Autonómia. Civil Support Public Nonprofit Ltd. works on linking the not-for-profit and the corporate sectors in order to increase the efficiency and sustainability of social organisations. Civil Support aims to establish cross-sectoral cooperation and develop strategic partnerships between various stakeholders in order to enhance the social impact of NGOs, especially through strengthening their financial sustainability. Please click here for more information about Civil Support. The network was established in 2011 and currently operates 7 charity shops across Budapest. Charity shops couple social value with environmental benefits: they sell good quality, second-hand items at low prices firstly making them affordable for families in need and secondly saving them from ending up in the landfill. The Cseriti’s vision is to expand their chain across Budapest and beyond. Enactus Nottingham is part of Enactus, a global community of student, academic and business leaders committed to using entrepreneurial action to transform communities and create a more sustainable world. Enactus Nottingham manages eleven social enterprise projects both locally in the UK and internationally in countries such as Malawi, Kenya, Malaysia and China. Please click here for more information on Enactus Nottingham. Impact Accelerator invites social enterprises to participate in an intensive 6-9 month programme. During the programme, selected enterprises work with experts and investors to become investment-ready so that they can scale up their operations and social impact. Click here to read more about the Accelerator. The Kiútprogram was established in 2010 to help families to find a way back to the labour market by helping them gain significant supplementary income through small scale cucumber production. Through the programme, the participants are supported with access to microcredits and mentoring services, which enable them to become independent producers. The organisation is operating in more than 20 settlements in less favoured areas of Hungary. Please click here for more information about Kiútprogram. Since 2013, Tegyünk Egymásért Egyesület (Let’s Help Each Other Association) has been active in Pécs-Somogy, one of the most impoverished neighbourhoods of Pécs. Their work initially concentrated on community building, but recently they also initiated employment generating activities. Based on the success of their community sewing club, a Social Cooperative was established and its members aim to open a work wear factory in 2017. Visit the website of the Association and the Facebook page of the Social Cooperative. 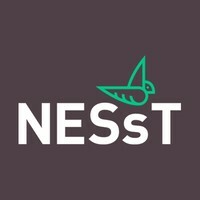 Founded in 1997 NESsT is an international social enterprise incubator that supports entrepreneurial solutions to social problems in emerging market countries. They identify and select high-impact entrepreneurs with innovative ideas to address large-scale social issues. Using a combination of financial investment, capacity strengthening and strategic business mentoring, NESsT equips entrepreneurs with the tools they need to plan, launch, and potentially scale their social enterprises. The focus of Badur Foundation’s work with NESst is on social enterprises providing sustainable and dignified income for marginalised communities. Click here for more information about NESsT Hungary. Parforum is a non-profit organisation specialised in art-based educational programmes, community development, social interventions and participatory action research. Parforum’s mission is to contribute to a more egalitarian, solidarity-based, inclusive society by strengthening social awareness and critical thinking in its target populations. The two main areas of Parforum’s work are the empowerment of Roma youngsters and adults, and the sensitisation of the broader society. Parforum works in cooperation with organisations and individuals specialised in art, art pedagogy or art therapy, and with locally embedded institutions (i.e. schools, NGOs). Please click here to learn more about Parforum’s ongoing activities and past projects. The Pearl Foundation has worked for over 14 years in the Eastern region of Hungary, within some of the most disadvantaged communities in the country. The Foundation began its work by establishing an Art School with the aim of helping children fulfil their potential both creatively and educationally. In recent years the Pearl Foundation’s activities have broadened to the provision of social services to the families of the pupils and the wider community. For more information on the Pearl Foundation please click here. The Association’s main focus is the provision of cultural and community-building activities and the preservation of the natural environment in Pécsbányatelep. In order to fight one of the most pressing problems of their neighbourhood, unemployment, a social cooperative was set up. The Cooperative utilises the chestnut fields around the cultural centre and generates employment opportunities for local inhabitants through processing its produce. Please click here for more information about the Association and here about the Chestnut Cooperative.